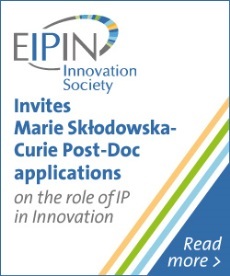 Do you want to apply for a Marie Skłodowska-Curie Individual Fellowship and work with EIPIN Innovation Society? EIPIN, a consortium of leading research and training centres in intellectual property, presents EIPIN-Innovation Society (www.eipin-innovationsociety.org). EIPIN-Innovation Society is a comprehensive project at the forefront of multidisciplinary research, examining the role of intellectual property (IP) as a complex adaptive system in innovation. The ambition is to enhance Europe’s capacity to foster innovation-based sustainable economic growth globally. 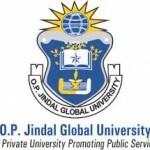 The primary research objective of the programme is to provide political leaders and stakeholders reliable conclusions and recommendations in the form of IP research on how to deal with the adaptive complexities of innovation cycles that secure economic benefits and uphold justice in the innovation society. 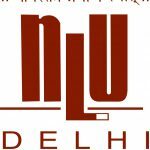 The involvement of industry associations representing numerous undertakings provides great access to non-academic actors. Since September 2017, fifteen PhD candidates from all domains of sciences are conducting research and follow a tailor-made training programme, providing them with a solid foundation for cross-cutting research in the area of innovation policies, while overcoming a traditional separation of disciplines. EIPIN-Innovation Society invites researchers interested in working with us to submit an expression of interest identifying the main lines of research to be developed as a joint Marie Skłodowska-Curie Actions (MSCA) research proposal with the assistance of the EIPIN-Innovation Society team. MSCAs are a set of EU funding initiatives supporting research, training and career development focused on innovation skills. The MSCA Individual Fellowship (IF) supports the most promising individual researchers from anywhere in the world. MSCA initiatives promote the involvement of industry and NGOs in doctoral and post-doctoral research: for more details see here. MSCA IF has two types of fellowships: European Fellowships which last from one to two years and Global Fellowships lasting two to three years: more detailed information can be found here. MSCA IF is open to experienced researchers only. This means: you hold a doctoral degree or have at least four years’ full-time research experience by the time of the deadline. The grant provides an allowance to cover living, travel and family expenses. More information on the MSCA can be found at https://www.mariecuriealumni.eu/news-tags/msca. The next deadline for submission of proposals is 12th September, 2018. See https://ec.europa.eu/research/participants/portal/desktop/en/opportunities/h2020/topics/msca-if-2018.html for the open call. Maastricht University in particular invites proposals on the role of intellectual property in the fourth industrial revolution and sustainable development (AI, Internet of Things, the Data-driven economy, etc.). The University of Alicante in particular invites proposals on any of the following topics: The need to strike a fair balance between the protection of creative content and the need to foster its dissemination in the Digital Single Market; The increasing complexity of cross-border litigation in the field of IP, including unitary titles (EU Trademarks and Community Designs) and the UPC; and Promoting innovation in food security and quality signs. CEIPI, University of Strasbourg, welcomes proposals falling within the broad framework of Europeanisation and/or internationalisation of IP in the context of the digital economy and 4th industrial revolution. CEIPI also encourages proposals related to ethical and human rights considerations as well as EU objectives (such as sustainable development, improvement of the quality of the environment, justice, fair trade or technological advance as incorporated for example in Article 3 of the Treaty on the European Union). All areas of IP are equally welcome with a preference for patents, plant varieties rights and geographical indications.